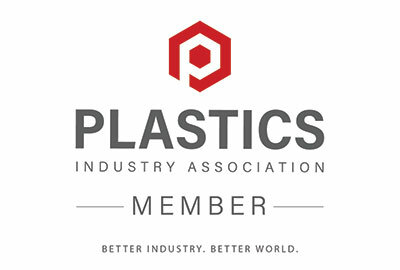 SolveTech specializes in proprietary Thickness Gauging Systems for measuring plastic film and other non-conductive materials. Measurements are non-contact, precise, high speed and safe to use, making each of our products a market leader in its category. If you are not sure which system will fit your needs complete our Information Request Form.. 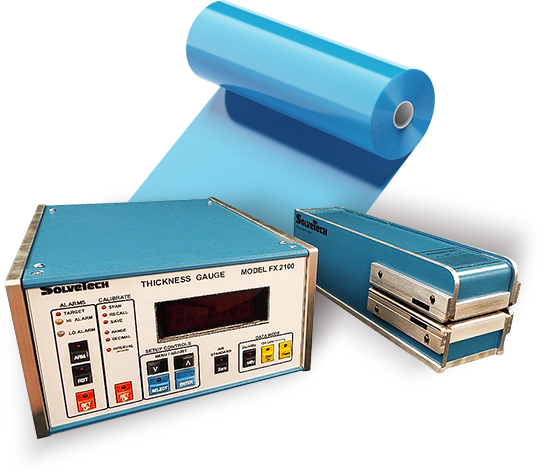 Since 1981, SolveTech has been providing thickness gauging systems to the plastic film, nonwoven and paper markets. With hundreds of worldwide gauging installations, we are passionate about helping our customers with their thickness gauging needs. We utilize a proprietary capacitance-based technology that is high performance, non-contact and non-hazardous. We have refined this technology over 38 years, and we have combined it with easy-to-use software and data management systems. The technology is capable of measuring any non-conductive material so we have served a range of applications over our history. In our off-line systems, we can achieve amazing levels of repeatable precision down to +/- 1 millionth of an inch. Our off-line technology fully complies with ASTM Standard D8136 and D6988. We have a line of on-line and thickness gauging products but also frequently custom design solutions to meet our customer’s exact needs. We offer some unique solutions like our MultiChannel Array Gauge that creates a complete live 3D map of the thickness of your web. Contact us today to discuss your thickness gauging application with our engineering team. We offer sample testing and system trials to make your gauging selection process easy and straightforward.